We believe that stories are the carrier of a culture and it’s values. As we nourish children with great stories, we not only nourish their minds, but ultimately we shape the future of our culture. Litkidz is passionate about sustaining and creating a better tomorrow. We review great children’s books to help you help children make good choices. Whether you are a parent, a grandparent, or just someone who consciously loves and cares about nurturing children, this website is for you. Literacy is another goal of Litkidz. Reading is about magic. Reading is about imagination. Reading is about joy. This website is created to have children get lit up by the magic and joy of reading. How? By insuring that our children are reading the best of the best in books. Whether your child is reading by themselves, or you are reading to them, we help you by picking children’s books that stir the imagination, transmit your values, and inspire children in every way. Just as we won’t feed kids potato chips as a meal, Litkidz doesn’t include trivial books- junk food for the mind. Every book brings a contribution to the development of the whole child: heart, mind, and spirit. Founder & Writer: Laura Duggan: My own experience as a writer, editor, grandparent, and reading specialist, provides the focus for the website. After certification as a Waldorf Teacher in the Waldorf Teacher Training program, I began working as a reading specialist. As a reading specialist, I see the challenge of teaching children to read when the focus is simply on the mechanics of reading. What makes children want to read? It is the experience of imagination and sense of wonder. Along the way, it helps if the book is well written, and transmits universal values. A great book transports a child into another world, allows them to walk in another’s shoes, gives the child the direct experience of compassion, imagination, and magic. This website is a result of my own investigation into quality children’s books. Currently I read and review each book. I hope in the future to include the reviews of trusted associates… children’s librarians, Waldorf teachers, parents, and in some cases, young people. Our shared vision is that this site helps you select books for your children that will result in a life-long love of reading and literature. Artwork on home page by: Maia Kobabe: Maia is a very talented illustrator, and a recent MFA graduate of Dominican University of California. She came in second place in a recent New Yorker Cover contest. She is available for free-lance work. Visit her website to contact her. No author pays us to write reviews. They are all based on my own interest and experience. Every time you purchase a book using the links on the book review page, your local bookstore, or Amazon, return a portion to this website, allowing us to offer this content as a public service. The same thing applies for any of the advertisements from Google. Thank you for your support. If you’d like to contact us for any reason, please use the reply form below. Really love your website. I have a question about something you wrote, you said “While I am not really a fan of teaching reading and phonics too early, because of my Waldorf education training”. I have no thoughts on this yet but wanted to know what your’s were. Hi Mandy, Thanks for your question. There are two things that come up for me. First, at what age should we be teaching reading? Waldorf Education encourages younger children to hear stories told aloud, and to learn to read in first grade. However, this is not the current trend of most education, where pre-school age children are introduced to letters and sounds. The argument against reading so early is that it brings children out of their imagination, into their intellect, too soon in their development. Thanks again for your interest. It’s not a black and white issue, by any means, and often, one must take the lead from the child themselves. 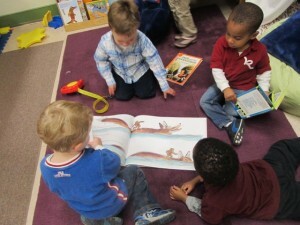 If a child initiates reading on their own at an early age, one would not stop them from doing so.